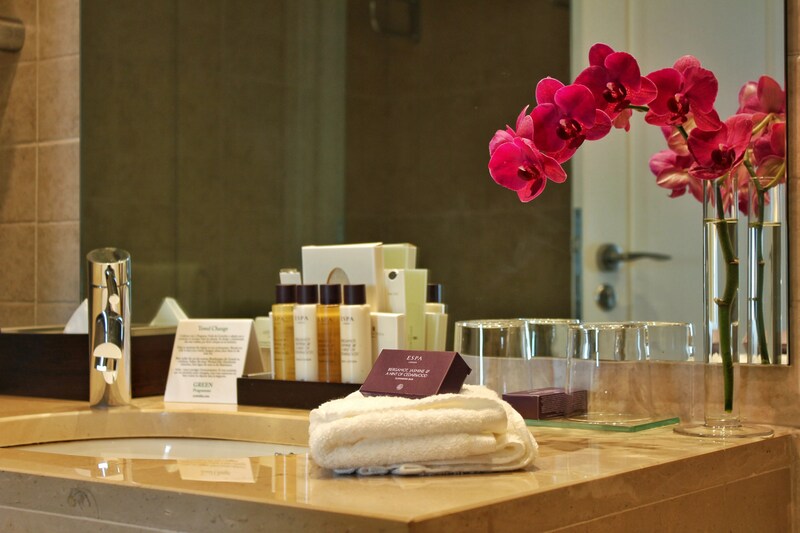 Lisbon has a range of fantastic luxury hotels to choose from, and the Corinthia Hotel Lisbon is certainly one of them. 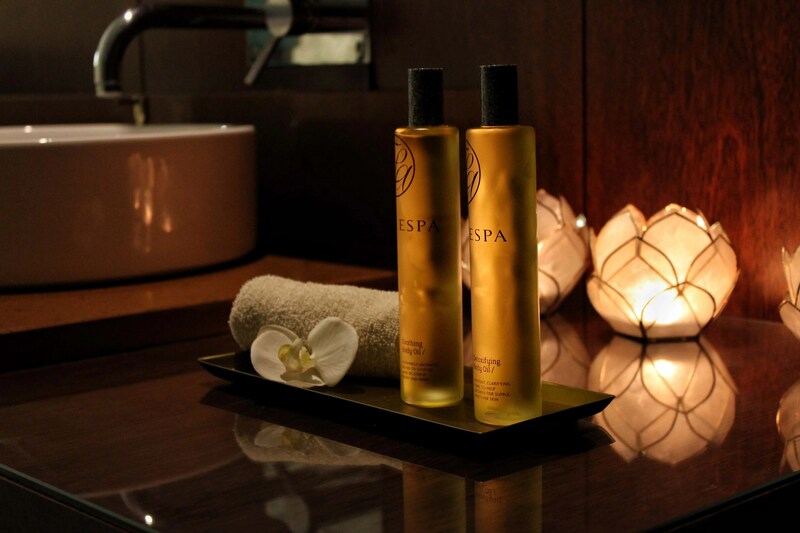 Aside from being extremely classy, Corinthia also boasts enviable spa facilities that make it ideal for a relaxing city break. Having spent 6 weeks in Portugal, Geets and I decided to spend our last night in Corinthia’s Ambassador Suite — one of the best rooms in the hotel — located high up on the 23rd floor. Now Corinthia Hotel Lisbon isn’t exactly in the city centre (which is one of the hotel’s downsides), but it compensates with a fantastic view of Lisbon’s famous aqueduct, the Ponte 25 de Abril bridge and statue of Christ the King. 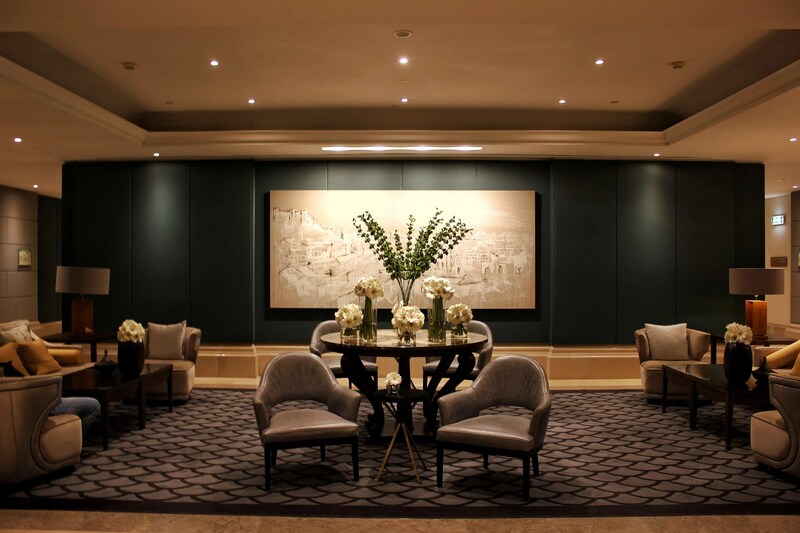 It was hard not to be impressed as we walked into Corinthia’s foyer; the entire ground floor has various inviting seating areas with beautiful furniture and lovely flower arrangements. What I really liked was the artwork everywhere. I’m hardly an “art connoisseur”, but I loved the way they’ve shown off Lisbon’s monuments and views. After we finished checking in — which very conveniently included a glass of good old Portuguese Port wine 😉 — we were told about an unexpected opening in their 2nd floor spa. 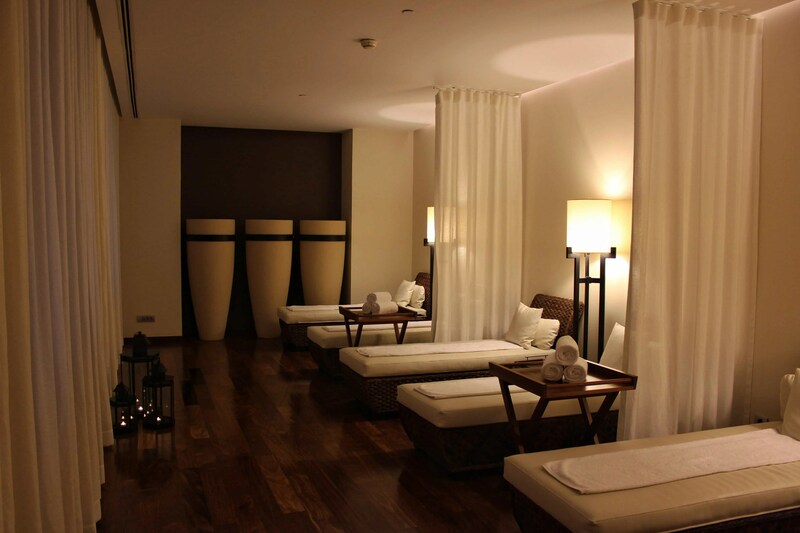 We headed up to the 23rd floor, dropped our bags, got changed and rushed down to the spa as fast as we could. After a brief spa tour (that place is huuuuge! 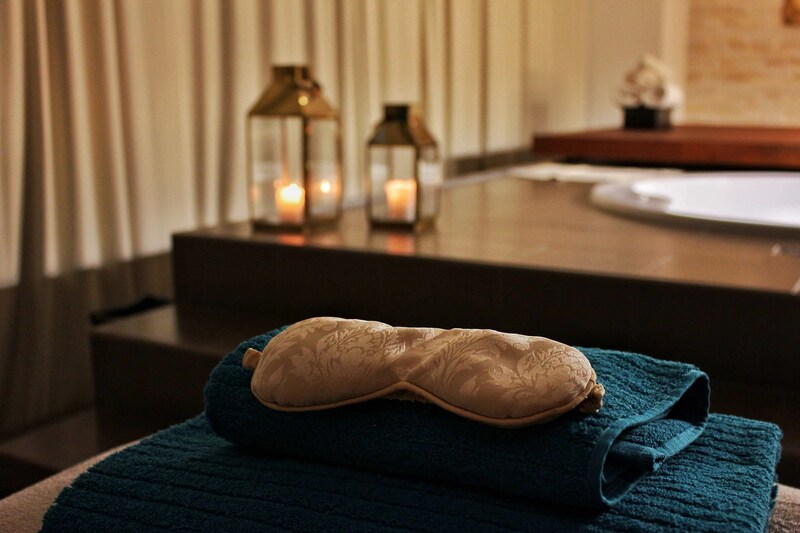 ), we were escorted to a private couple’s treatment room with two massage beds, jacuzzi with rose petals all to ourselves and even a private steam room too. We were left to enjoy the jacuzzi and steam room for about 30 minutes before they came back, asked us to de-robe and lie down on the massage tables for an hour of blissful relaxation. 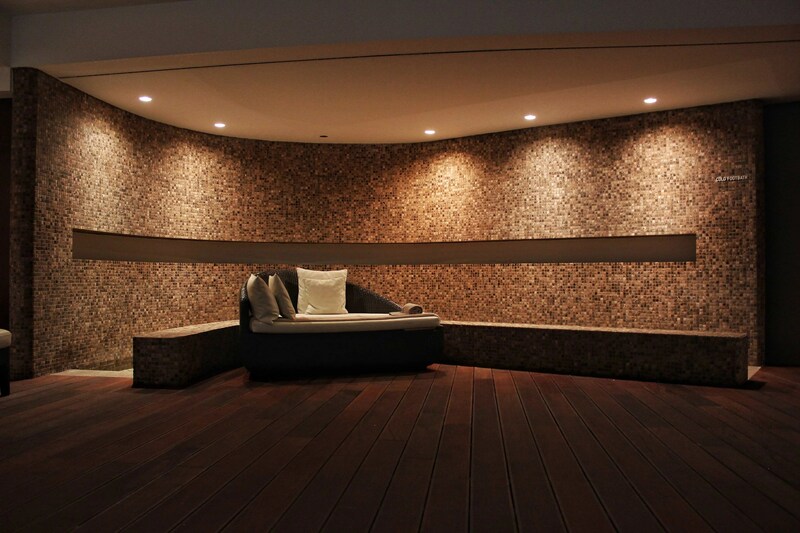 The main feature of this area is the Dynamic Pool, a large pool “designed to soften and revitalise different parts of the body” with various jets to massage and relax you. There are even two rainfall shower heads with some crazy pressure; I put myself under water and just let it pound down on my back. It honestly felt so good! On your way out, you can stop off at their “zen room” as I like to call it and grab a quick snack while you unwind on a deck chair. Getting ready for dinner, it was hard not to be excited about our Ambassador Suite. 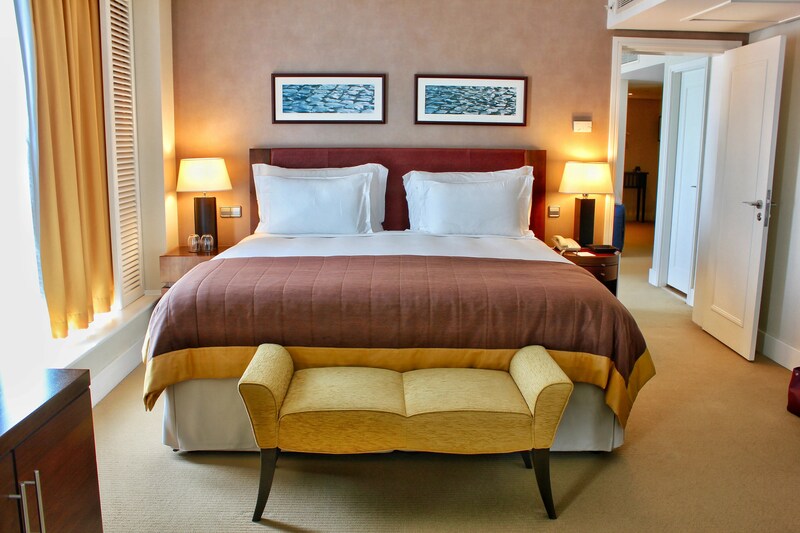 This place is the second biggest room at the Corinthia; 66 square metres of space all to yourself with a vast view of Lisbon, including a king size bed, large living area, two bathrooms and huge floor-to-ceiling windows that allow plenty of Portuguese sunlight to flood in. Walk through the door and you’re in a large living area. The modern and luxurious furnishings look stunning, and you’ve got plenty of space to lounge, watch TV or get some work done at the desk. It’s also where you’ll find the secondary, smaller bathroom with just a toilet and sink — a convenient addition to the Ambassador Suite. Next door you’ve then got the spacious master bedroom, which happens to have one of the best beds I’ve ever slept on. If I could take this home with me, I would! The mattress seemed to be made out of memory foam and while I usually dislike those kinds of beds, this one was so, so comfortable. As if one living area wasn’t enough, the master bedroom has an additional lounge area too — decorated with the same sofas, chairs and mirrors. 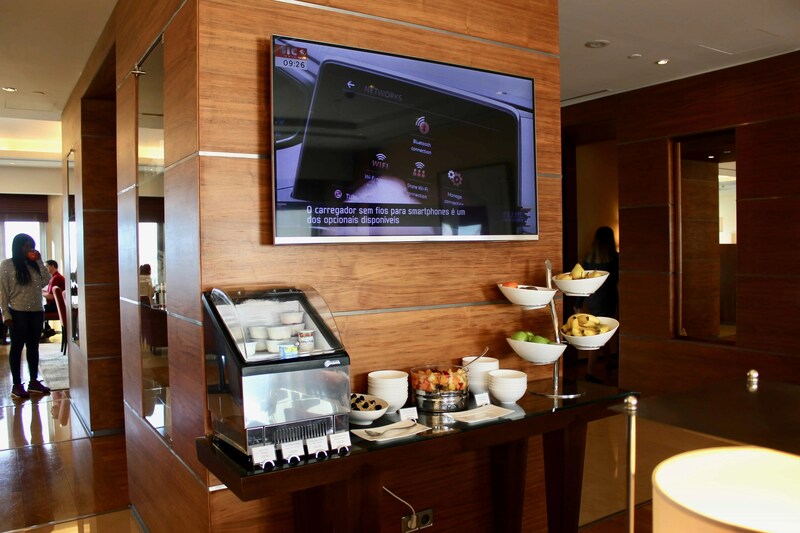 There’s also a small media centre, TV, and importantly loads of storage space in the large cupboards. 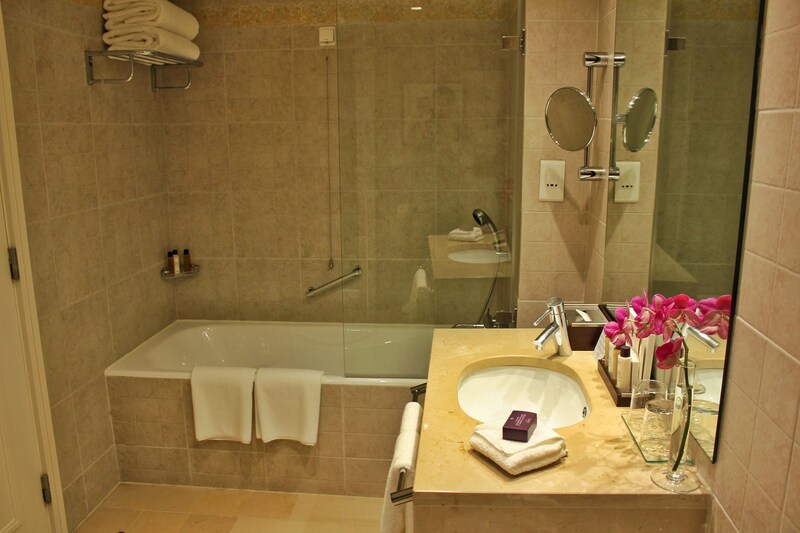 A hotel room is as good as its bathroom — at least for me — so it was good to see such a great bathroom in Corinthia Lisbon’s Ambassador Suite. 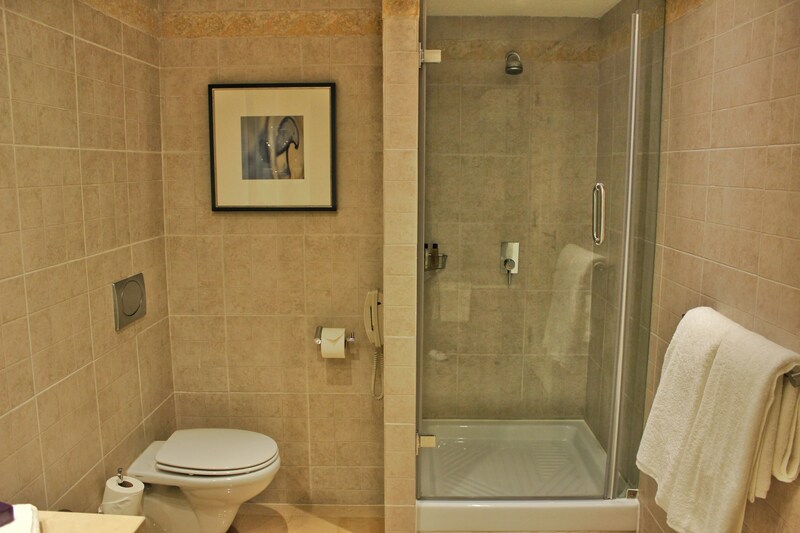 There’s a separate shower cubicle as well as a bathtub which is convenient, and typically for European hotels there’s also a bidet. What I really liked though was those towels! I know you’re probably thinking I’m a weirdo, but it’s the little things that make a big difference and those towels were so damn thick and soft. 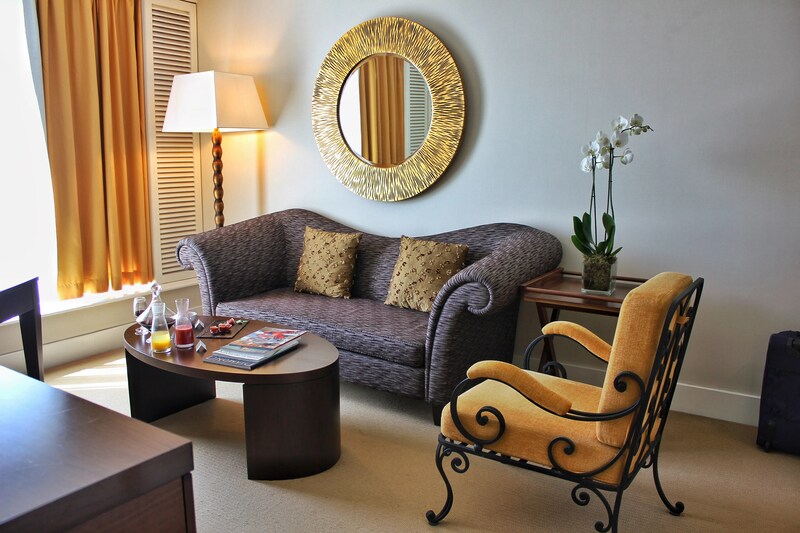 Last, but certainly not least, the Ambassador Suite boasts a wonderful view of Lisbon’s aforementioned hotspots like the aqueduct, bridge and statue of Christ. And with those massive windows across the master bedroom and living area, you can enjoy those views wherever you are. 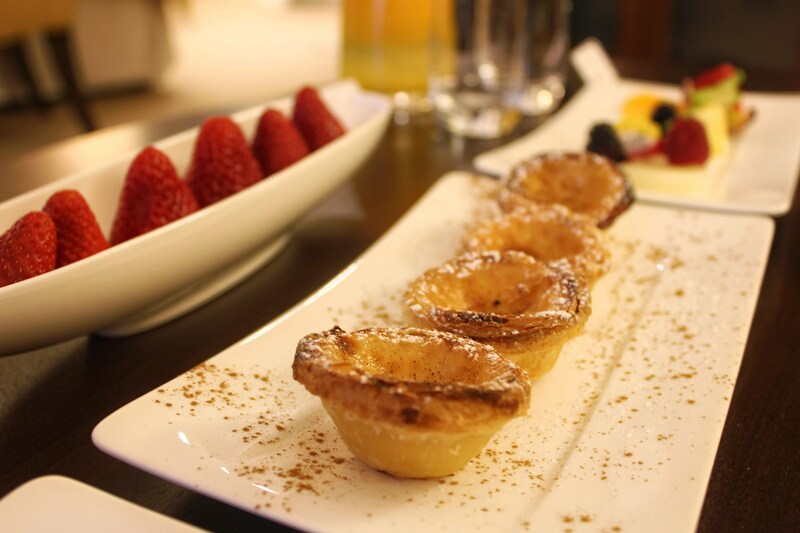 Tipico is Corinthia Lisbon’s ground floor restaurant serving up the “best of Portuguese cooking”. 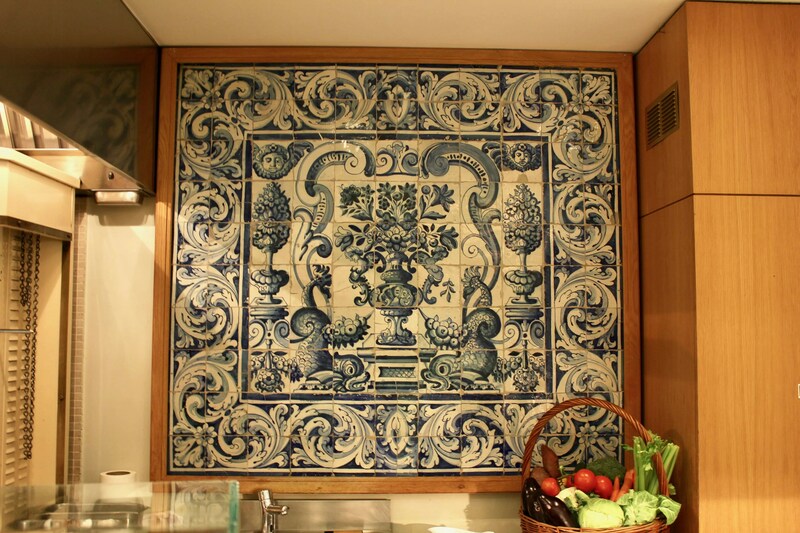 If the beautiful blue & white tiling behind the chefs don’t give off a Portuguese vibe to you, the floor certainly will with its familiar cobble-stone design the Portuguese streets are so well known for. 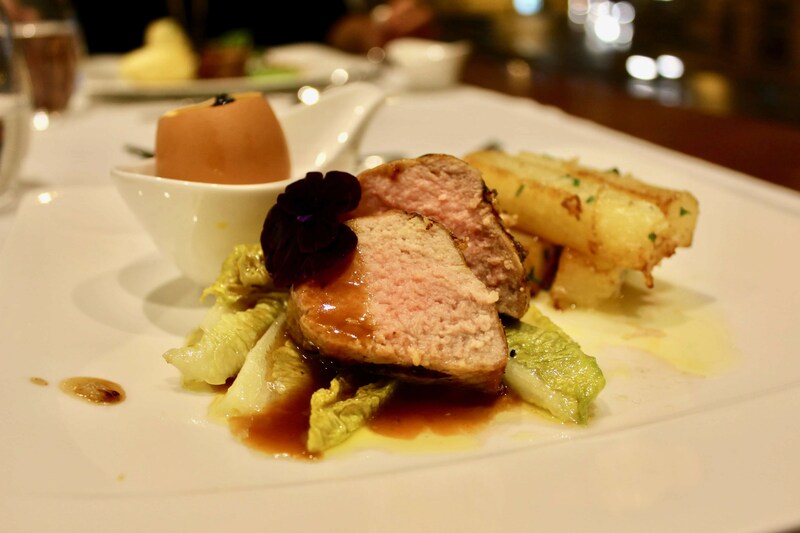 I decided to opt for the a la carte menu on this occasion — after all, we were only there for one night! 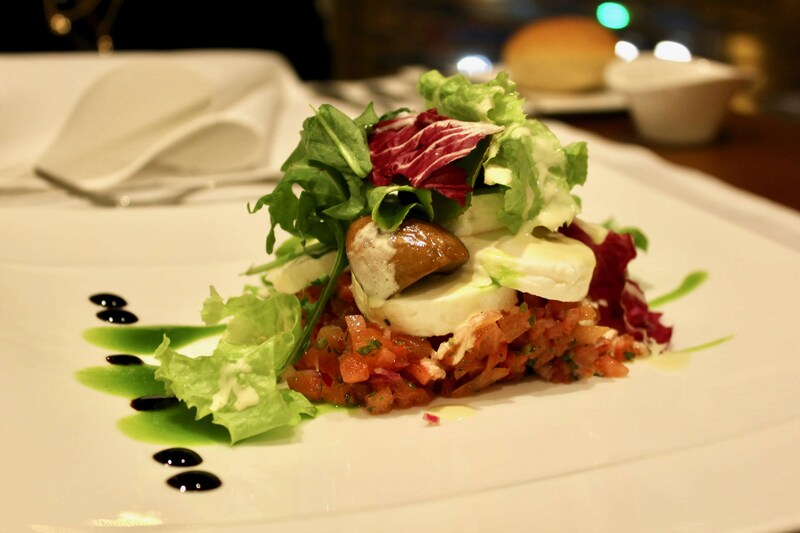 — so we ordered a fresh cheese salad with mushrooms and tomato, and I picked the grilled medallion of veal with truffled scrambled eggs, potato, warm lettuce and “madeira” wine sauce. 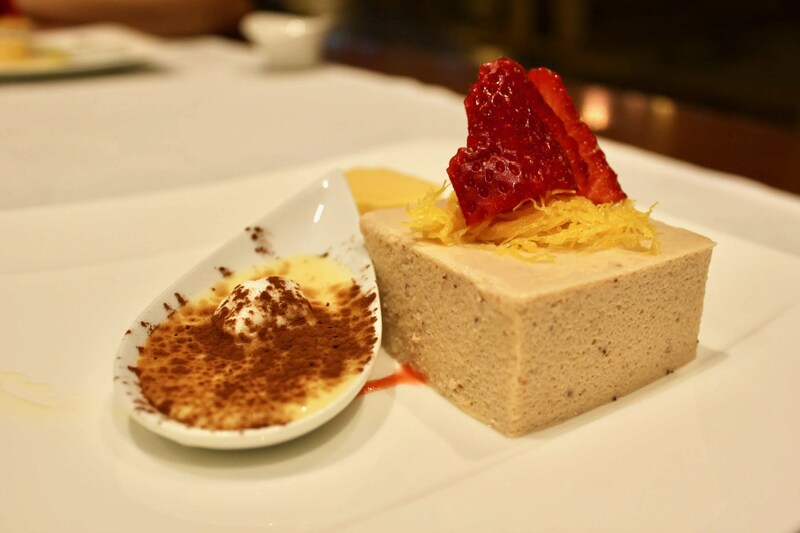 To finish off, we picked a trilogy of Portuguese desserts. Most of the food was very well presented, super tasty and I’d definitely recommend trying it out — except for the trilogy dessert. (Shocking right? I’m usually the dessert lover…) The flavours were a little uninspiring and, at least in my opinion, didn’t represent the best of Portuguese sweets. That said, everything else like our red wine, starter and main courses was lovely and the service was impressive. 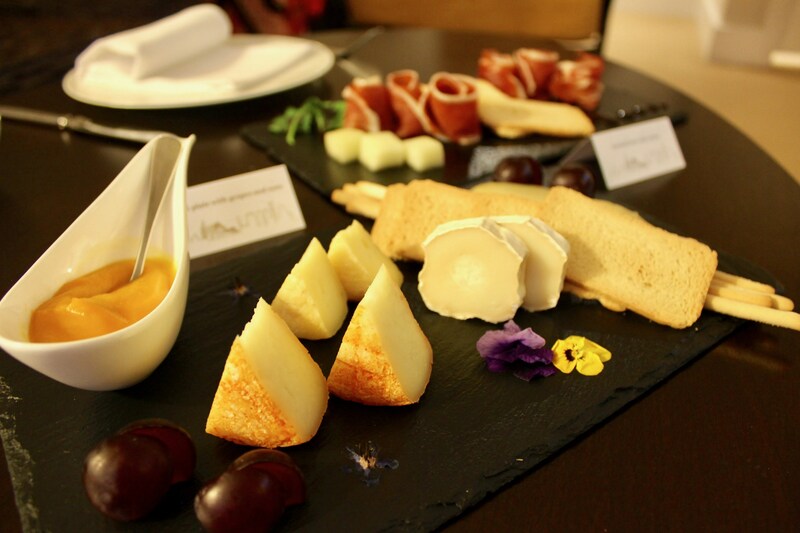 Surprisingly, despite the fact that we were in a luxurious 5 star hotel, Tipico lived up to its claim of offering an “unpretentious atmosphere” — something I particularly liked. 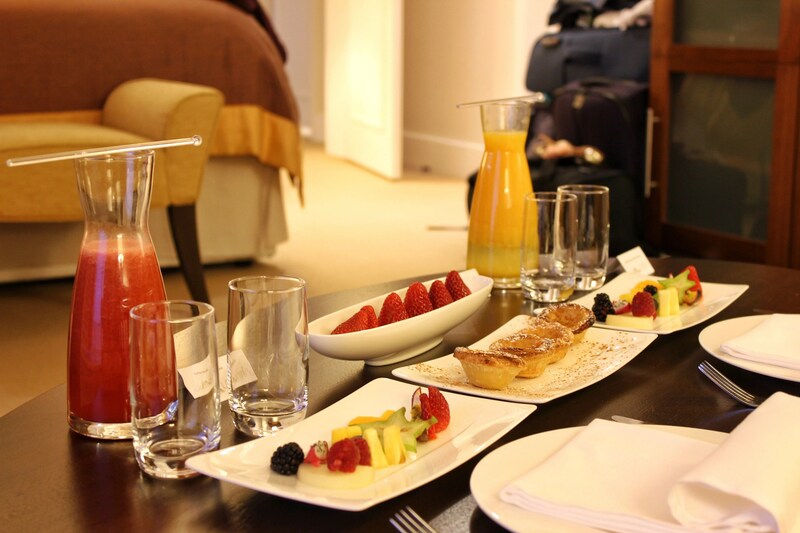 After (unwillingly) rolling out of that amazing king size bed the next morning, we headed up to breakfast on the 24th floor of the Corinthia Lisbon: the Executive Lounge. 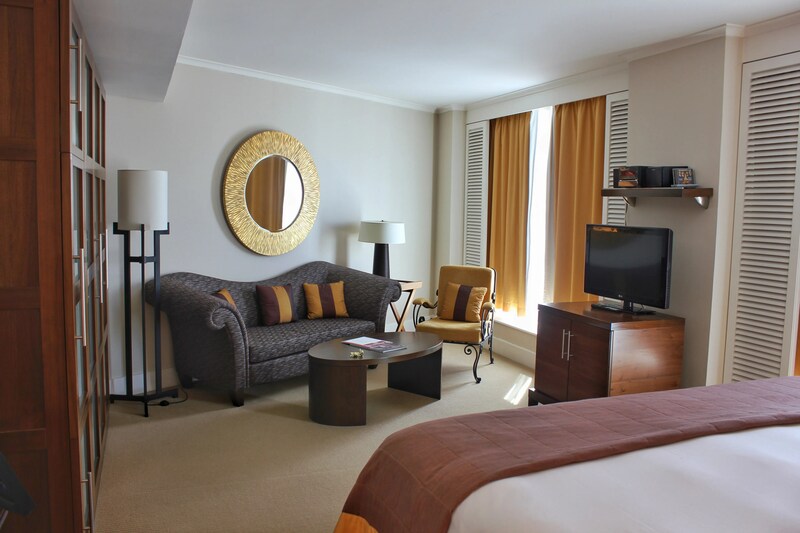 It’s an exclusive floor only accessible to members of the Executive Club (which you have to pay for), or if you’re a guest in selected rooms like our Ambassador Suite. 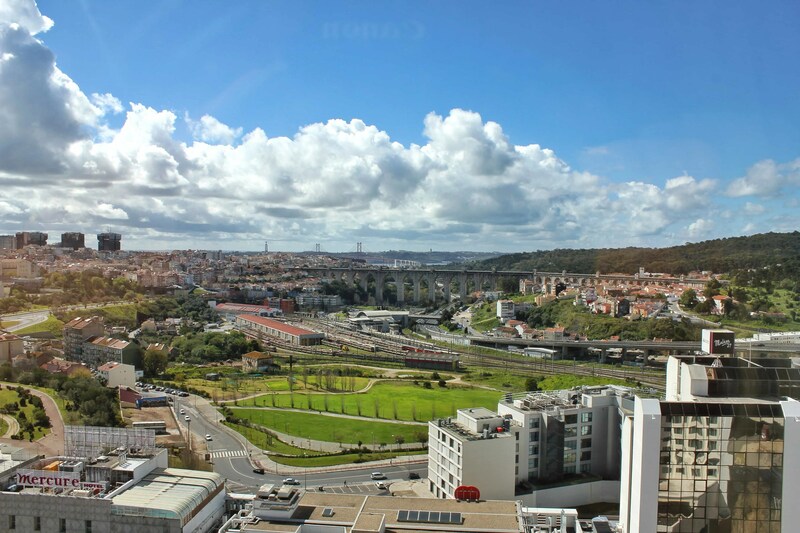 You can find out more about what’s included here, but it includes things like private check-in/check-out with your own guest relations team, all-day complimentary refreshments and panoramic views of Lisbon. 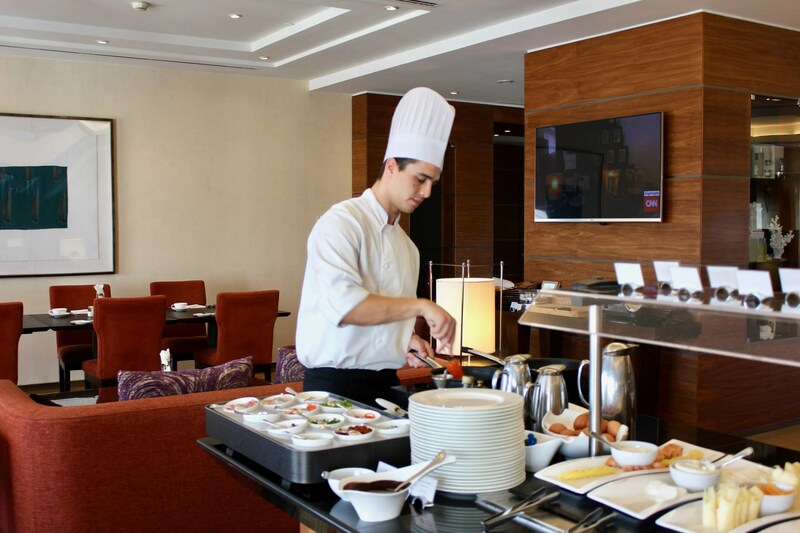 As I walked over to the breakfast buffet, a chef kindly offered to cook up a custom omelette just the way I like it which was a nice touch. 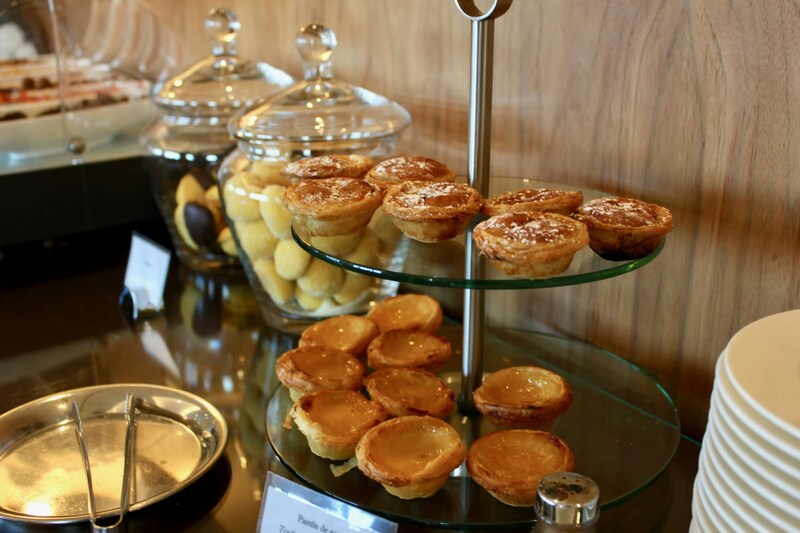 There’s a good selection of fresh bread rolls, cold meats, cheeses — and of course there’s pastries and cakes there too. 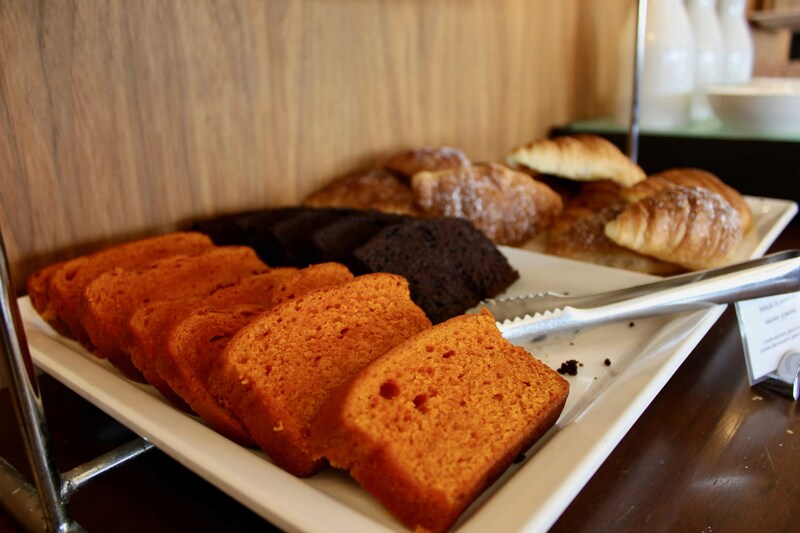 Their chocolate and orange cake slices were incredible, by the way — so rich and moist! The food up there is very good (although admittedly not mind-blowing), but the main focus of that experience was having breakfast over a beautiful view of Lisbon. That in itself is worth paying for. 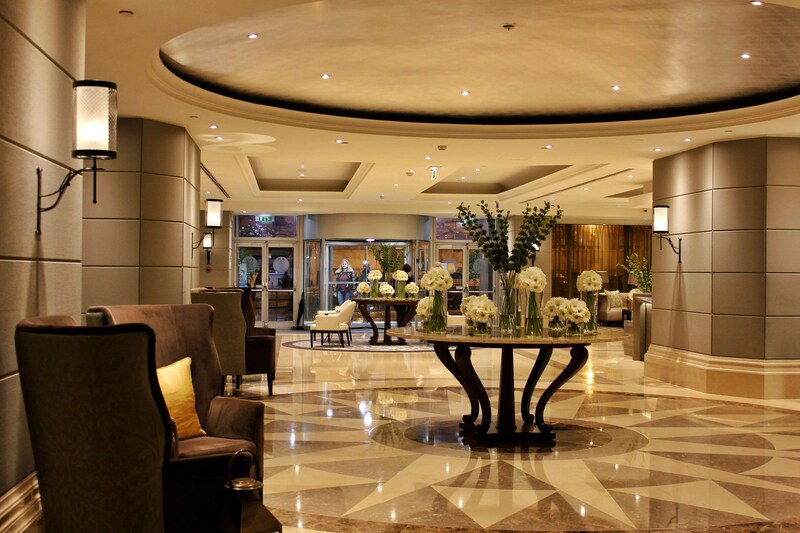 I wouldn’t hesitate to recommend the Corinthia Lisbon hotel. 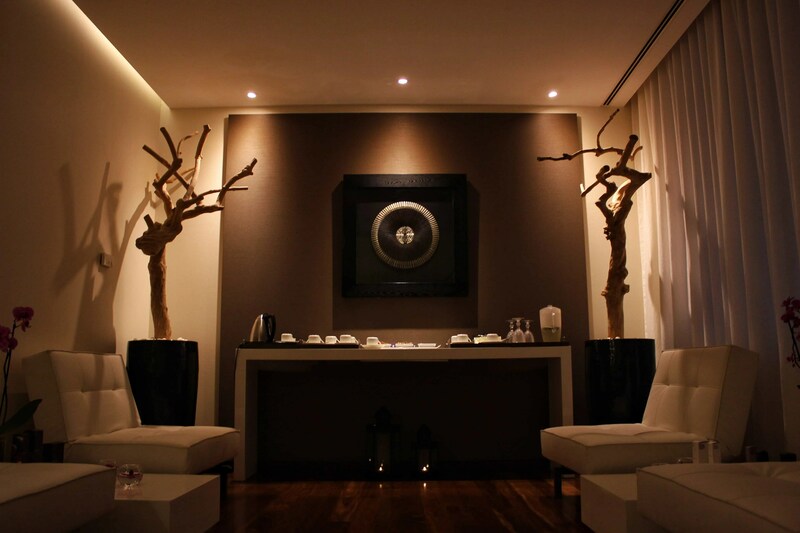 Remarkable spa facilities set it apart from other hotels in Lisbon and make it ideal for a relaxing, luxurious city break. 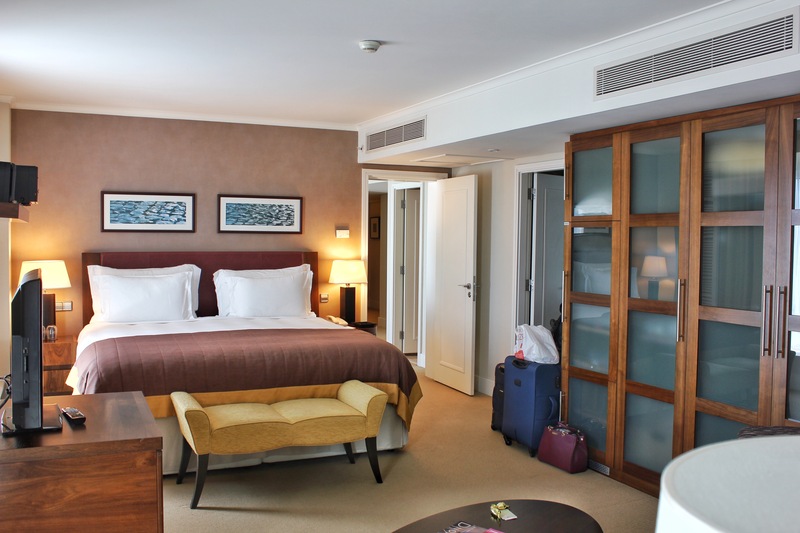 While it isn’t in the heart of the city it’s certainly not far either, and with its wide range of facilities, excellent service and brilliant rooms, Corinthia Lisbon earns two thumbs up from me.